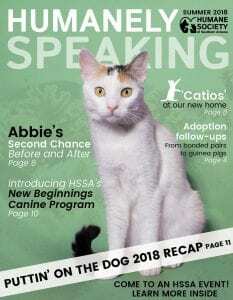 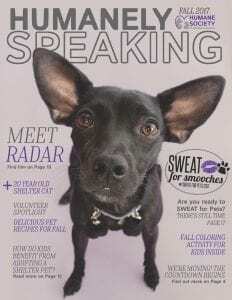 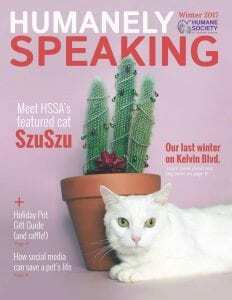 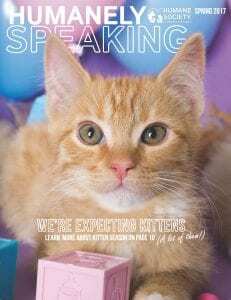 Humanely Speaking, our quarterly magazine, has a wealth of information about events, programs and all the wonderful things happening at HSSA. 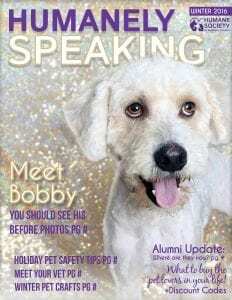 If you would like to be included in our mailing list, please email our Development Team. 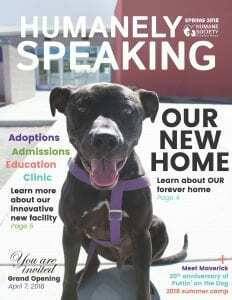 If your business organization would like to carry copies in your lobby, email us and we'll make sure you are included in our distribution.